Rated 5 out of 5 by sonnee_22 from Very Good! At first it was a little complicated to navigate, never having played an AOM game, But when I had my bearings... It was so awesome! I love these adventure type games. It is fun because the procedure of looking for clues and problem solving are very close to the real thing. I did need the walkthrough every now and then but It was easy just to read what I needed to and not anymore. The graphics were good and the music and sound fx were movie quality! If you like problem solving in a forward moving story, meaning, never the same type of puzzle 2X, This is your game! Rated 5 out of 5 by Sergeij from One Of The Most Exciting Games BIG FISH has ever offered! This brilliant effort by City Interactive is a real gray matter flattener! The game has Nicole Bonnet, an FBI Investigator Par Excellence, on the trail of a brutal serial killer who likes to leave calling cards in the form of playing cards, and who is quite ingenious in his methodology. His traps and puzzles are among the most sophisticated I have encountered among the large file games, and the thrills and chills stay with you right up to the surprise ending. From walking on poles across alligator-infested swamp waters in Louisiana, to bombs going off in New York City, to rigged up lighthouses in Maine, and a partner she can't trust, Nicole must keep going amid peril after peril to find this fiendish killer. There are puzzles of the most intricate nature in the police laboratory, where even one iota of evidence may not be overlooked, and there are further puzzlements that will almost fry your brain! 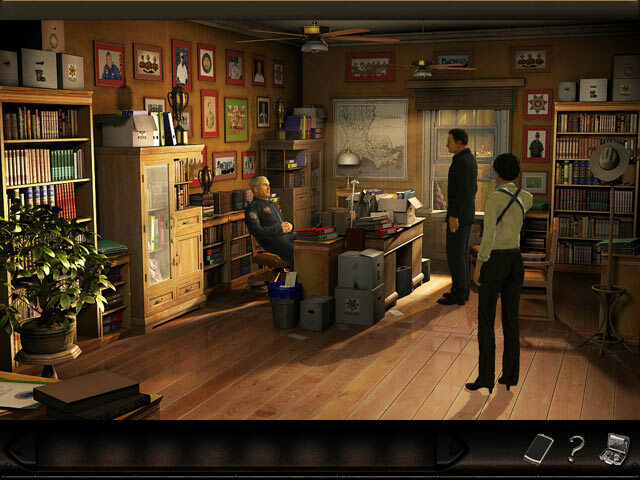 So, if you want non-stop thrills and chills as you solve terrible murders, this game is for YOU! Really, this has to be one of the most exciting games I have ever played anywhere! THANX, BIG FISH! Rated 5 out of 5 by ebbie22 from Fun Hidden Object Game! 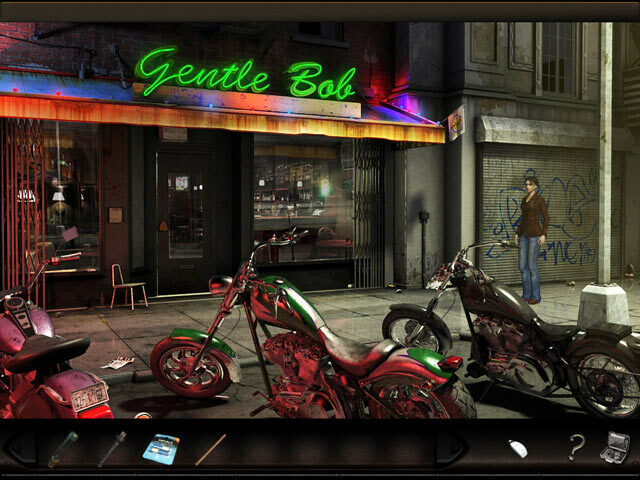 Really well hidden objects and a really fun game!!!!!!!!!!! Rated 5 out of 5 by AuntieJulie from Best Art of Murder yet! I loved the first 2 'proper' AOM games although some of the timed sequences were very frustrating and some of the dialogue repetitive and irritating. I was thoroughly disappointed with the 2 hidden object versions but th is game rates in one of my top 10 all time favourite games. The challenges appeared to be easier than previous - which suited me fine. The storyline was great, graphics great and the length of the game was far longer than many I have played. This is definitely my kind of game - interesting and challenging point and click adventure without being so difficult that I have to give up. 9.5 out of 10 in my personal favourites! Rated 5 out of 5 by mummy1st from Again a perfect Art of Murder game! This is the 3rd Art of Murder game I bought and just finnished playing. I could not stop. I played it for hours! I realy hope there is going to be a new one! ABSOLUTE FANTASTIC. No HOS! Just think like a detective! Rated 5 out of 5 by Terribean from I love this game! I liked the game for excellent story line, sound quality at the ending was a little rough you could not really hear them talking over the music. 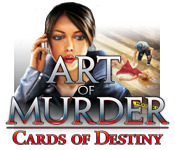 I purchased all of the Art of Murder and enjoy replaying them, looking forward to the rest. Rated 5 out of 5 by Rescue_helo from Another Art of Murder Hit Art of Murder Investigations are never simple but always enthralling. This installment is no exception to the rule. The storyline is, again like always in the series, quite gripping and realistic. What I like in those investigations is not solely the investigation per se, that you conduct virtually as you would conduct one in real life, but also the logic behind everything little thing. I also like them because they never babysit you, they never lead you by the hand and tell you "You need to go there". No. You are alone with your intelligence, your wits, your logic. I like visiting locations in any order and thinking deeply about what I need to do next, about how I am to use this or that object. I also like the absence of these sempiternal HO Scenes in which you are tasked with finding artichokes, rubber ducks, umbrellas and other useless nonsense of like kind. In Cards of Destiny, the graphics are superb, the atmosphere gloomy, the tasks numerous, the locales to explore in good number and diversified, and the puzzles original and challenging. The high quality of the voice-overs and soundtrack turn this investigation into a truly immersive one. Yes, I am a fan of Nicole, as I am a fan of Nancy [Drew] and an adept of Large Files. 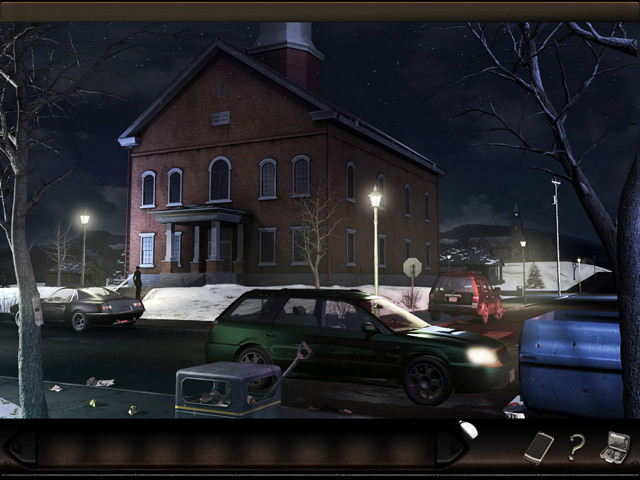 And no, I am not exaggerating when I assert that the Art of Murder Series is top-notch and worth playing. Highly recommended. Note: I didn't see any bugs or glitches. Rated 4 out of 5 by Lucylulu82 from A Challenge This is the second of the Art of Murder games I've played. I initially played The Puppeteer, which I thoroughly enjoyed. After getting to grips with the actions and combining items in your inventory, it became a bit easier. However, some of the challenges are really tough and in Cards of Destiny, you can actually die and have to load your saved game, so I recommend saving every chance you can. It will auto-save from time to time. There's no skip button even for the intro, so every time you load the game or die, you have to sit through the cutscenes again, which is annoying. I've got to a section of the game where I've died quite a few times so I gave up out of frustration, but I will go back to it soon. I disliked Nicole's character in this one. I feel she's quite rude and immature and everytime you try something that doesn't work, she will repeat things like "not gonna happen" or "yeah, right", which gets extremely annoying. What I like about this game though is the real sense of adventure, going from one place to another and the sense of achievement you get when you work out how to do something. I must admit though, I've had to cheat and look at the walkthrough quite a few times, which takes it away from the game a bit, but it's way too hard without it. I'd be there for years trying to figure it all out. I really want to try some more adventure games because HOGs get a bit boring after a while. This game feels more like a console type game to me and I like the 3rd person perspective. I disliked all the dialogue between characters because half of it didn't make sense, or came across as rude and not something people actually say. I'll look out for more games similar to this but maybe something a little less challenging. Rated 4 out of 5 by bubbies423 from Great Adventure! This is a very good game overall for those who like large adventures like this. Well done, Quality is good and its quite entertaining, though its got some weird quirks. The reason for only four stars is I hit a couple glitches, the voice acting is sometimes laughable, and the general feel you get is that its a very good game, but not really an outstanding one. Too many little things drag it down, but if you're not nitpicky then its a great buy.